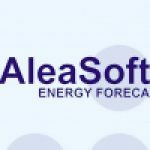 26th January 2011.- Demand for electricity in Spain rose by 3.28% in 2010 in comparison to 2009, or 2.93% after adjustment for calendar and temperature factors, but has still not recovered to the levels of before the economic crisis. In the case of demand for conventional gas in Spain, there was a rise of 9.99% in comparison with 2009, returning to the levels before 2009, a year in which demand for conventional gas fell by 7.99%, basically due to the economic crisis. 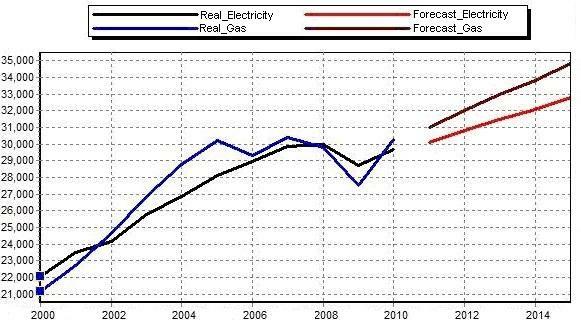 The demand for electricity in Spain is expected to rise by 1.47% in 2011, reaching levels similar to those of 2008. Graph showing the year-on-year development of the demand for electricity on the Iberian Peninsula and the demand for conventional gas in Spain (hourly mean): real and forecast [MWh]. From a historical point of view, the month with the highest demand for electricity and conventional gas in Spain was January 2007, when total energy consumption was 52,956GWh. This month could be described as the economic peak in the country, before the crisis. The lowest level of energy consumption was reached in August 2009, when total energy consumption was 35,524GWh, at a time which may be considered as the low point of the crisis. Joint demand for electricity and conventional gas in Spain rose by 6.65% in 2010. Growth of 1.92% is forecast for 2011, recovering the rate of growth prevailing before the crisis. Graph showing the year-on-year development of the joint demand for electricity (Iberian peninsula) and conventional gas in Spain (hourly mean): real and forecast [MWh]. JOINT DEMAND FOR ELECTRICITY AND CONVENTIONAL GAS ROSE UP TO 2007. IN THE TWO-YEAR PERIOD 2008 – 2009 ENERGY CONSUMPTION FELL BY 1.96% IN COMPARISON TO THE TWO-YEAR PERIOD 2006-2007. THE CRISIS CAUSED A 6.26% FALL IN 2009. DEMAND IS EXPECTED TO REACH SIMILAR LEVELS TO THOSE BEFORE THE ECONOMIC CRISIS IN 2011.